Aside from their notorious reputation for handing off fake bills and occasionally utilizing a rigged meter, Guangzhou taxis are set apart from their counterparts in Shenzhen, Shanghai and Beijing by the metal bars that separate passengers in the backseat from the driver up front. The bars have been a fixture in Guangzhou taxis for around 20 years and were initially added to prevent passengers from robbing or engaging in violent altercations with drivers. 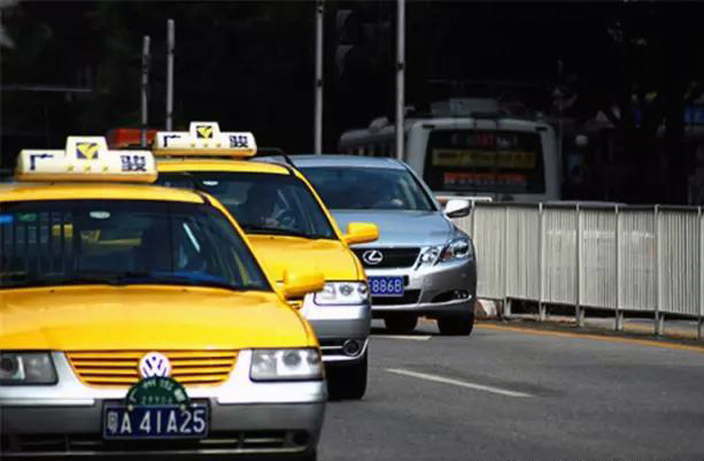 Today, we can report some good news for detractors of the ugly, police car-like barrier: according to a report by Guangdong Radio and Television (GRT) the metal taxi barricades may soon be a thing of the past. Han’s Weibo post was accompanied by an image that appears to show a large number of metal barriers allegedly removed from Guangzhou taxis. The photo was reportedly capture at a Luochongwei repair shop used by Guangzhou Baiyun Taxi Company. The removal of the metal bars is intended to increase passenger comfort, according to GRT. The move seems logical, considering that: 1) the barrier is undoubtedly ugly; 2) Guangzhou taxis now have real-time audio and video equipment installed to ensure driver safety; and 3) the hybrid and electric taxis that were introduced last year have operated fine without the bars.